I was pretty excited to make these because it was the first time I had tried cutting felt with my Cricut Maker. I cut felt with my Cricut Explore Air for my St. Patrick’s Day wreath but I had to add iron-on backing to it so as not to shred the felt. The promise of crisply cut felt and not having to use backing on it gave me a little anxiety, not gonna lie! But check out that crisp edge! And yep, no backing needed. That’s all thanks to the Maker’s rotary blade with the fabric cutting mat. Measure the coaster base you will use. 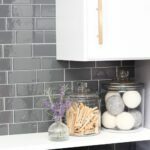 You don’t have to use a coaster base, but if your beverage is really cold and you take a while to drink it there will probably be enough condensation to go through the felt and who wants to clean that up! 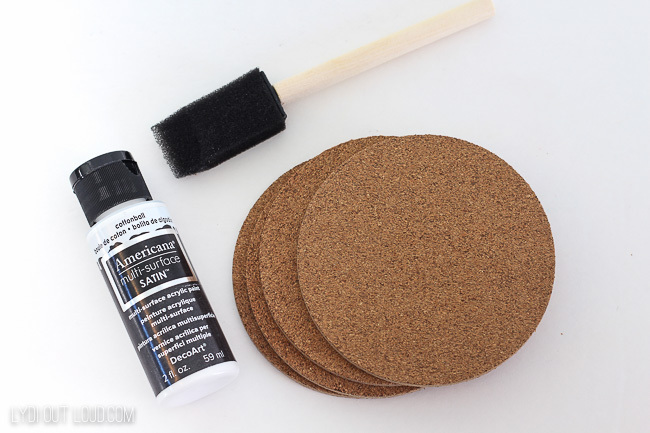 Since I used cork coasters as my base, I slapped a couple coats of white acrylic paint on them so that the cork didn’t show through the white felt. 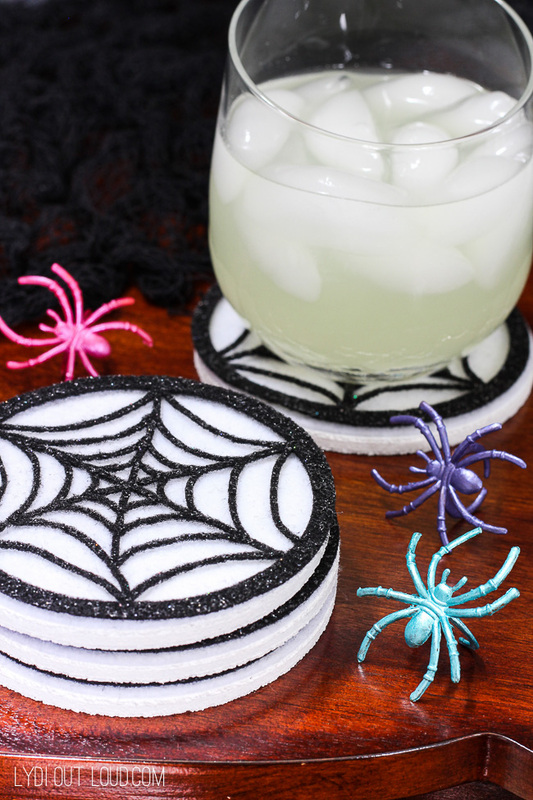 Open the spiderweb coasters cut file in Design Space and adjust size if necessary to the size of your coaster base. Cut! The Maker brings up a menu of materials when you go to make a cut so you don’t need to worry about manually setting a blade or a dial. 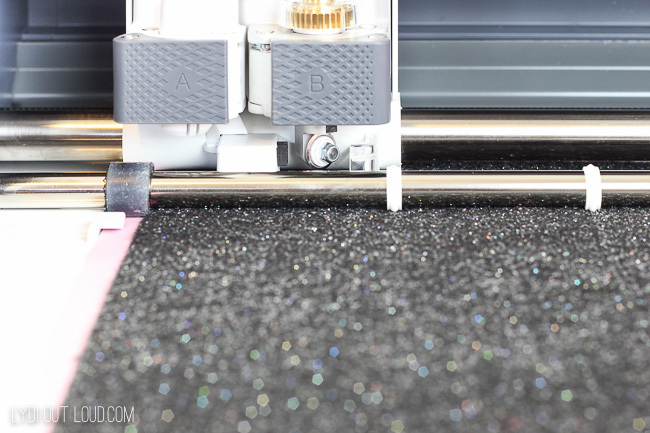 Once selecting felt, the Maker will remind you to switch out your blade for the rotary blade. Simply pop out the regular blade and line up the gears of the machine with the gear on the blade. 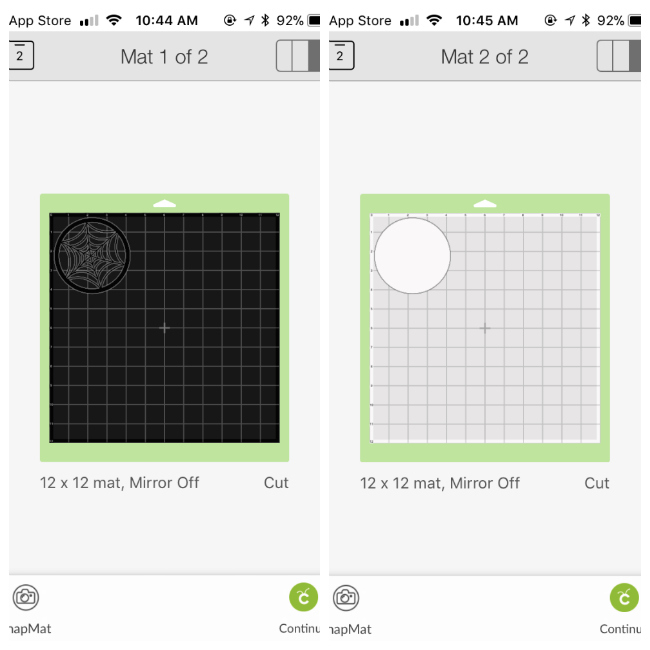 Load the cutting mat for your first material and cut; then load and cut the second material. Peel away excess felt and gently remove felt shapes from the mat. 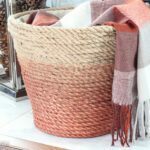 The thin webs are especially very delicate so remove them with extra care. 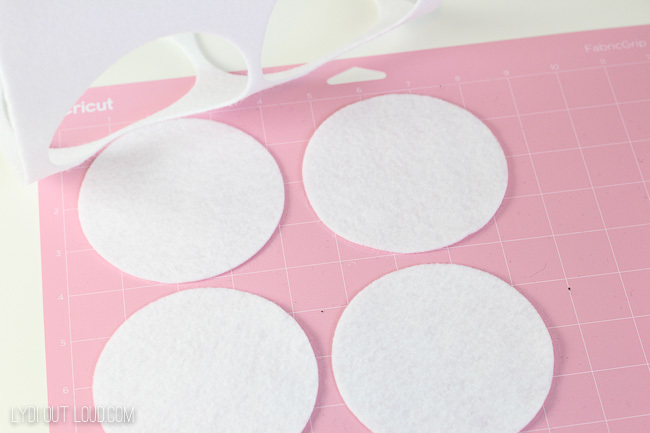 Spray one side of the white felt with spray adhesive and then firmly press to adhere onto the coaster. 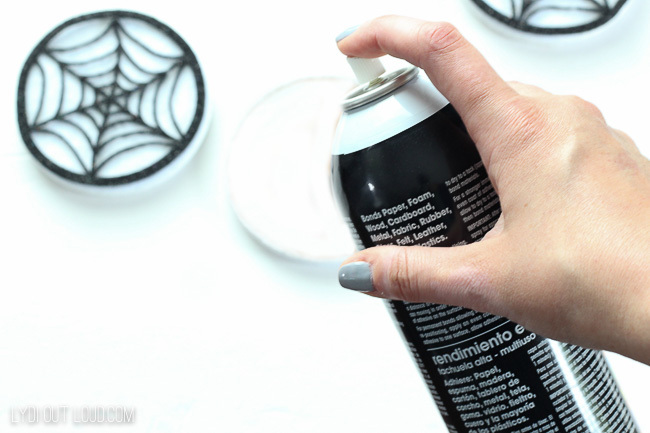 Next, lightly spray the back of the spiderwebs with spray adhesive and firmly press to adhere over top of the white felt side of the coaster. Allow to dry for a few hours. 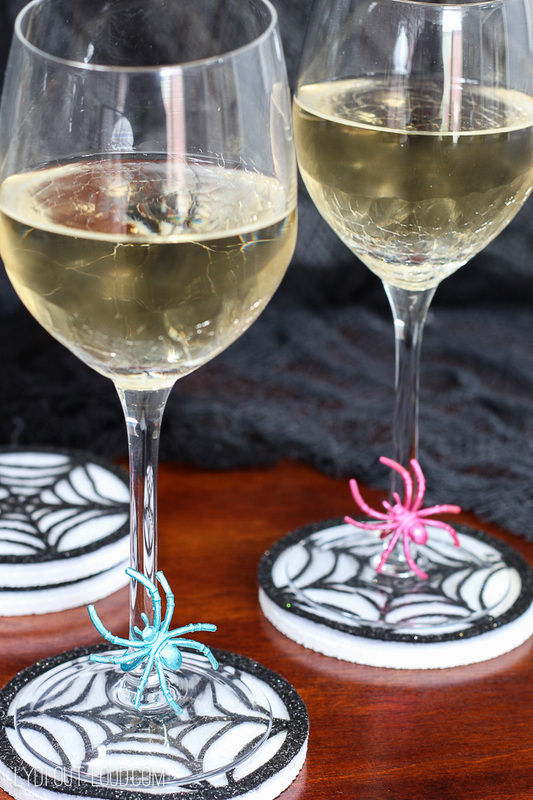 Aren’t these perfect with my DIY Spider Wine Charms?! 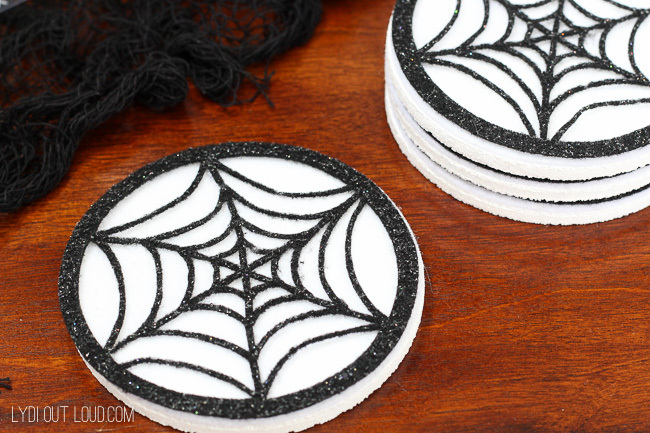 The spiderweb coasters can also be easily made into a garland by cutting or punching holes on the tops; then just string them on some black ribbon for a showstopping spooky mantle or Halloween party decor! Not a big fan of spiders, but the glasses surely look amazing. 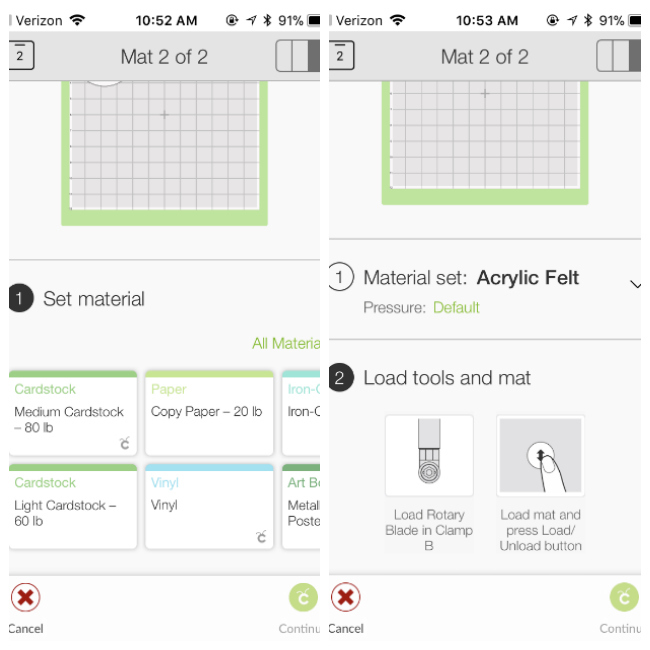 I have t get a cricut!